I almost got it this month! But I ended up changing my mind.... but who knows... I may just pick it up one of these days anyway... if no other reason then to stop my curiosity on it. As a storm rages, five desperate people are caught in the mirror's power to reveal lost souls, broken dreams, second chances and some very strange sexual vengeance. Kim Mai Guest, PJ Soles and Billy Drago co-star in the provocative series climax that is available only in this collection. Well... I wanted to finish off this boxset. I went into it with very low expectations since the last one pretty much totally sucked. I can thankfully say this one is just a little bit better then the last one. But it is still not what I would call a good movie. Definitely below average. Now that I have watched them all I would say I liked them in this order: Part 1... Part 2... Part 4... and then Part 3 (which is no good at all). It was however good to see Billy Drago in this one as well. What's a yuppie ghost couple to do when their quaint New England home is overrun by trendy New Yorkers? They hire a freelance "bio-exorcist" to spook the intruders. And everyone gets more than he, she or it bargained for! Director Tim Burton ('Batman', 'Mars Attacks!') teams with Michael Keaton ('Night Shift', 'Batman'). The result? "Keaton's Beetlejuice is one of the biggest, baddest wolves a ghost movie has ever unleashed, a polter-gas" ('The Village Voice'). He's a juggernaut of jokes, jolts, and jive who hurls one-liners, spins into grotesque forms, gobbles insects and can't leave ladies (living or dead) alone. Keaton's wild work in this and 'Clean and Sober' won him 1988's National Society of Film Critics Best Actor Award. Alec Baldwin, Geena Davis, Winona Ryder and Sylvia Sidney share starring honors with the movie's wondrous production design, Harry Belafonte soundtrack tunes and Academy Award®-winning Best Makeup. So exorcise your right to fun. Say the "B" word three times and have a wonderful Day-O! My daughter, Brittany was ready to watch another movie with me. 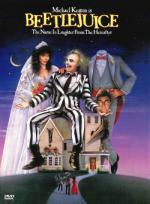 This time we chose Beetlejuice. This is one that we both have always really enjoyed a lot. This movie we don't need Halloween to come to watch it. I really like Geena Davis in this movie. And even though I don't normally care for her... I also enjoyed Winona Ryder. From Michael Bay, the producer of 'The Texas Chainsaw Massacre', comes the true story of Amityville. In November 1974, a family of six was brutally murdered. Now, a year later, an unsuspecting young couple, George (Ryan Reynolds, 'Blade: Trinity', 'The In-Laws') and Kathy Lutz (Melissa George, TV's "Alias"), and their children move into the house that was the site of the horrific event and is now haunted by a murderous presence. What follows is 28 days of unimaginable terror. With demonic visions of the dead and relentless screams of terror, this is the haunted house story that isn't just a movie - it's real. When I first heard that they were remaking "The Amityville Horror" I was rather worried that they would not do the original justice... or that they would make the same mistake they made with the "Psycho" remake.. and make it a carbon copy of the original just changing the actors. But this remake... I must admit... was done in the right way... kept enough the same to pay homage to the original... but changed enough to make it it's own movie. For the most part I do not like to compare a remake to the original... as I like to judge every movie on it's own as a stand alone movie. But this is hard sometimes... especially when I enjoy the original movie as much as I do "The Amityville Horror." In this case though... I really enjoyed this remake... possibly as much as I liked the original. I think they did a wonderful job with it... and I really enjoy the actors that took over... I am a fan of both Melissa George and Ryan Reynolds. This is one remake that is definitely worth giving a chance... I don't think you will be sorry. Felt in the mood for a vampire movie... but one I do not watch that often. As there is a small handful I tend to always watch. This one is a fairly low budget movie... that if I am not mistaken was direct to video. At least here in the US. This is not what I would call a great movie.... but I have certainly saw worse. Even though I do see obvious downfalls of this movie... it is definitely on the cheesy side... but for some reason I find myself enjoying this movie. There is a couple familiar names in this movie. First there is Karen Black who has done a lot of horror in her career. Then there is Peter DeLuise... who was on the TV Series 21 Jump Street. I did it!... I beat last year's total movies watched! And about 6 days to go! LOL... thanks... but we will have to see... not sure I will be able to make it to 100! I have loved this movie for years now... this movie stars Holly Marie Combs (Charmed) and Glenn Quinn (Roseanne, Angel). This is one that I got in the Twisted Terror Collection boxset. When I first saw this movie I didn't know who Holly Marie Combs was... now I am such a huge fan of hers I buy everything I can find with her in it. This movie has a lot of creative kills in it... but I think my favorite of them has to be the stomach pump... that is what I would have to call creative and sickening both at the same time. The only thing I didn't like about this dvd release is there was no extras what so ever... not even the Theatrical Trailer. If you never seen this movie... it definitely comes recommended by me. 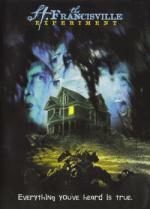 During a Halloween string of high school fires, Hanson becomes skeptical of a teen aged psychic claiming to be able to predict where the next fire will occur. If I am not mistaken... this is the only Halloween episode of 21 Jump Street. I thought they did a pretty good job on it. They really tried to fit a lot of Halloween/Horror related stuff into this one episode. Possibly a little too much stuff. But it is an enjoyable episode. Four people - a psychic, a ghost-hunter, a filmmaker and a historian - all trained in the paranormal and equipped with cameras, agreed to spend the night in a house rumored to be haunted. This is their footage. This is their story. This movie is made in the same way as Blair Witch Project... where they try to make you think you are watching a real documentary. In my opinion... it was done much better then Blair Witch was though. But that could have something to do with my enjoying haunted house stories so much... and touches on something I used to love to do when I was a teen... explore old abandoned houses. I would say if you enjoyed Blair Witch Project when it came out... you should definitely give this one a chance as well. More than a one-bite stand? Lana unwittingly becomes part of a Met U. sorority of vampires. One condition of her membership: She must bring Clark in for a bitefest! Chloe joins the DAILY PLANET. I LOVE this one! As I am sure most people know... I love vampire movies/shows.... 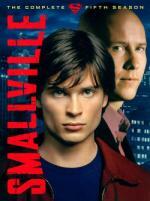 So having a vampire episode in Smallville is awesome! As much as I love vampires... it is even better that the vampires are cute (if not annoying) Sorority Girls. LOL And I just had to laugh at Clark in that Zorro costume for the Halloween party at the sorority house. A horrific Leprechaun (Warwick Davis) goes on a rampage after his precious bag of gold coins is stolen. He uses all his magical destructive powers to trick, terrorize and kill everyone who is unlucky enough to hinder his relentless search. In a frantic attempt to survive the wrath of the Leprechaun, Tori (Jennifer Aniston) and her friends scramble to find the only weapon known to kill this Irish monster... a four leaf clover. However, until they discover a four leaf clover or return all the gold taken from the rainbow's end, their fairy tale nightmarehas only just begun. This is another one I haven't seen in many years. It was fun seeing a young Jennifer Aniston (Friends) in this movie. Of course this more is done more for fun then horror... there is a load of comedy mixed in. But I definitely enjoy it for what it is. Not to mention Jennifer Aniston looked great in those tight shorts! "Diggers" are the newest, coolest virtual pets around. Everybody wants one, but Isabel and Kate discover that these pets have a mind of their own, and playing with them can be very dangerous. My daughter and I decided to watch a few episodes of Are You Afraid of the Dark? This episode was really good... I actually enjoyed every minute of it. It is one that would give any episode of Goosebumps a run for it's money. David works hard in his family's restaurant and wishes he had a different, more interesting life. An acient set of golden fortune cookies grants David his wish for a new life that turns out to be way more exciting and scary than David could ever have imagined. This episode is pretty good... but not nearly as good as the first one we watched. It was pretty predictable...but then again these are made for kids in mind and Brittany didn't find it predictable so I guess it worked. Tommy and David are brothers who discover something very strange about the new upstairs neighbors. They are very large people, with ravenous appetites, and whenever people visit them, they are never seen again. What could it be that the odd new neighbors are eating? This episode was better then the last one... but not quite as good as the first one we watched tonight. But over-all we both enjoyed all 3 of the episodes.